The point of summer vacation (or any vacation) is to unplug from work, which too few people truly do. If we do it right, we arrive back at work recharged, refreshed and ready to go. 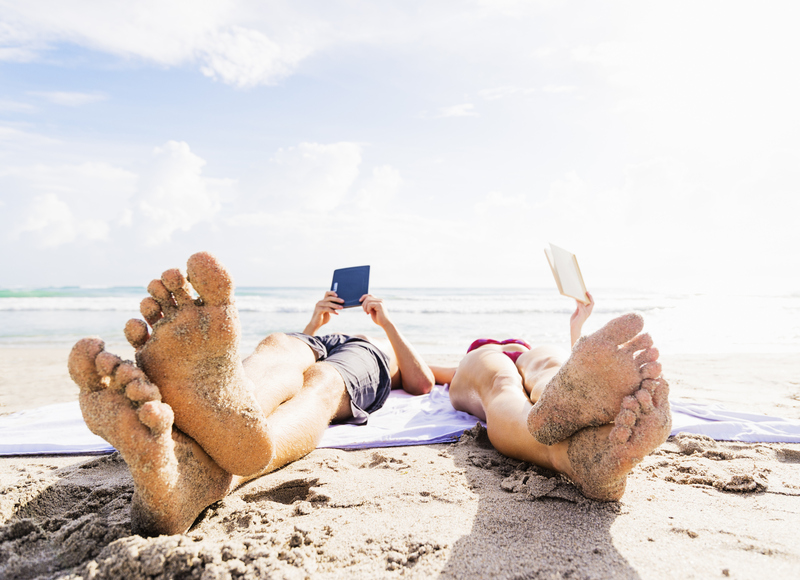 And while the traditional notion of summer book reading is about escaping into thrillers, mysteries or romances, some of you might want to read about work while you unplug from work – both of which can make you work better when you return. So as a follow-up to our summer book guide, here’s the Thrive Global Summer Book Guide to Work. The half-dozen books on this list are all about some aspect of work, entrepreneurship or careers that you can mix-in with your lighter summer fare. In the end, as long as you’re putting your phone down — to read, sight-see, connect with your friends and family, or just to do nothing – you’re doing vacation right. How companies can build their workplaces around the way humans really connect in a way that’s not just good for business but good for the world. Getting back into the workforce is often not a smooth process for women. Here’s how to merge back in without losing momentum. A handbook for how women can succeed by transcending the double-standard in which women are labeled either nice — and thus weak — or aggressive and intimidating. As our workplaces become increasingly automated, the ones that can leverage uniquely human qualities will flourish – and here’s how to do that, both in your workplace and in your own life. An account of the improbable ways in which leaders, celebrities, executives and scientists, ranging from Bill Gates and Maya Angelou to Steve Wozniak and Jane Goodall, launched their careers. Too many companies foster cultures of burnout in the pursuit of short-term growth as an end in itself, and this book shows us how to maintain growth by building a purpose-led culture and leveraging, instead of sacrificing, the dedication of your people.